Today, putting it all together. The University of Houston’s College of Engineering presents this series about the machines that make our civilization run, and the people whose ingenuity created them. Phone books are really quite ingenious. In a matter of seconds we can sort through tens of thousands of names and find just what we’re looking for. That’s because the data they contain is structured — the names are listed alphabetically. Imagine trying to find a particular name if they weren’t. Properly structuring data is at the heart of modern computing. By itself, data isn’t very interesting. “Flight 74” doesn’t tell us much. But when I connect that flight number with its destination and departure time, I have more than data; I have information. The best way to structure data depends on what it’s going to be used for. Imagine we wanted to find a shoe repair shop but didn’t know the name of one. Now an alphabetical list isn’t so helpful. 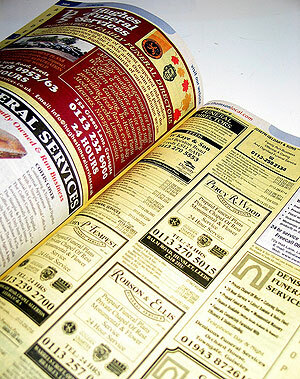 We want a list where we can look for “shoe shops.” Fortunately we can, in the yellow pages. Stacks. Trees. Heaps. These are just some of the hundreds of technical terms computer scientists use to describe their data structures. But the heavyweight in the arena is the database and database management system. Database management systems provide tools for building, using, and managing how data is structured. With a database management system it’s possible to create computerized white pages, yellow pages, and much more. A huge step in database technology occurred in 1970 with an eleven page paper written by Edgar Codd In it, Codd proposed what’s now known as the relational database. In the years that followed, a database language encapsulating many of Codd’s ideas was developed. Known as SQL and pronounced “sequel,” the acronym stands for Structured Query Language. Codd’s seminal work sparked a wave of academic and commercial development. 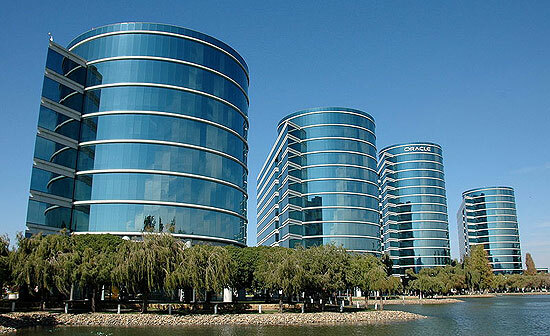 It served as the foundation for some of the largest and most successful companies in the world, including Oracle and Sybase. IBM and Microsoft fill out the roster of powerful companies who dominate the market for database management systems. Yet, even with powerful tools like SQL, structuring data remains an art and science. With a database put together one way, it might require days to find a phone number. Put together another, just a fraction of a second. Needless to say, good database designers are both respected and well compensated. Whether we recognize it or not, structured data impacts our lives every day. Without it, sellers couldn’t sell, truckers couldn’t truck, and Google couldn’t, well, google. It’s all but invisible, but without structured data the world we know today would simply come unglued. I’m Andy Boyd at the University of Houston, where we’re interested in the way inventive minds work. Sybase, like many of the companies that started as database management system providers, was purchased by international software conglomerate SAP in 2010. L. DiDio. DBMS Vendors Likely to Get Scrappy in 2010. E. Commerce Times, February 21, 2010. See also: http://www.ecommercetimes.com/story/DBMS-Vendors-Likely-to-Get-Scrappy-in-2010-69358.html?wlc=1284408695. Accessed September 14, 2010. Database Management Systems. From the Wikipedia Web site: http://en.wikipedia.org/wiki/Database_management_system. Accessed September 14, 2010. All pictures are from Wikimedia Commons. The Engines of Our Ingenuity is Copyright © 1988-2010 by John H. Lienhard.